Sir Paul, of course, was born during World War II. That is turning out to not be his only connection with it. 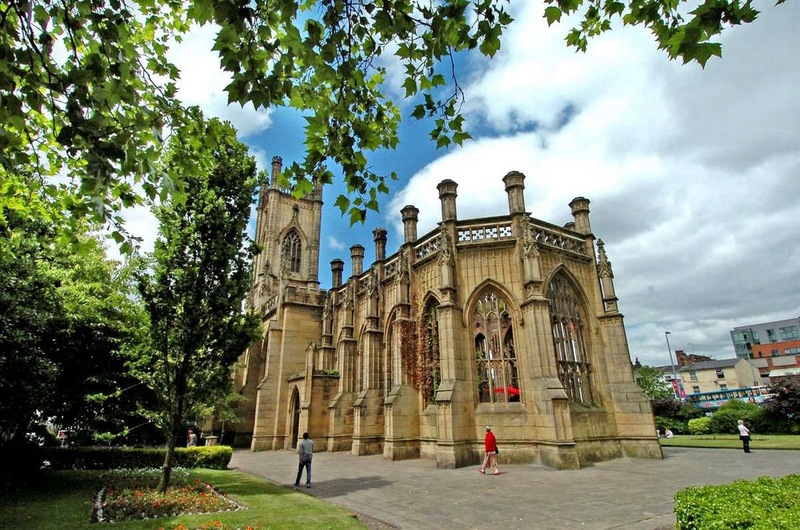 St. Luke's Church in Liverpool, England is the famous "bombed out church." Former Beatle Sir Paul McCartney, a Liverpool native, is keen on helping to preserve it. The church, on Leece Street in Liverpool, was built 1811 to 1832 period and was designed by John Foster Snr and John Foster Jnr, as a parish church, for Corporation ceremonial worship and a concert hall. It was burned out in the 1941 Liverpool Blitz and remains a roofless shell. 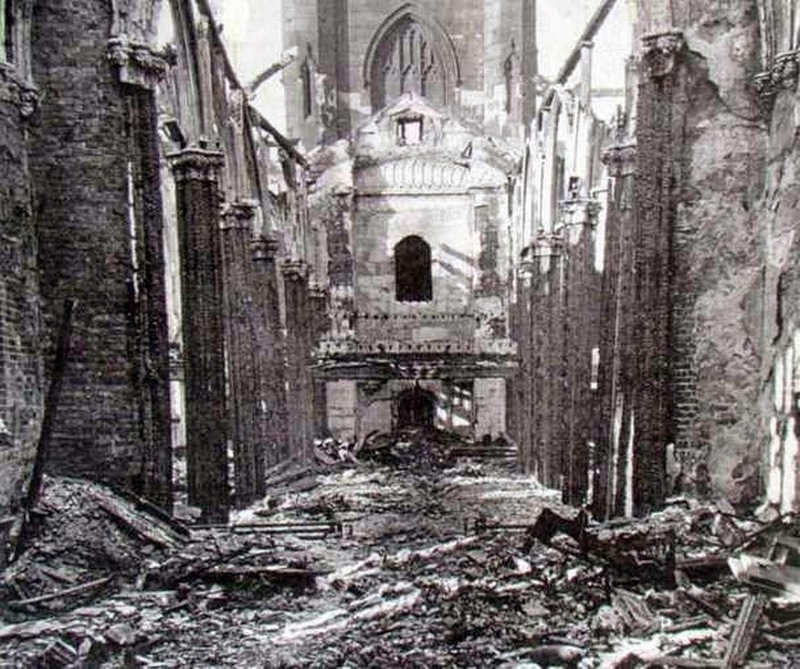 St. Lukes after the bombing in 1941. The church is still used, however, roofless derelict or not, as a public arts venue. There are outdoor film screenings, exhibitions and the like. However, funding is always a problem. It is owned by Liverpool council. Dance music promoters Club Freeze contacted Sir Paul about helping out. Campaigners are setting up two separate, interlinked companies which would be overseen by Liverpool council, but says it is struggling to afford the cost of maintaining it. One will work with English Heritage to conserve the Grade-II* listed church whilst the other will be a community interest company organizing arts events in the landmark space. It is a beautiful setting and almost looks normal from the outside. 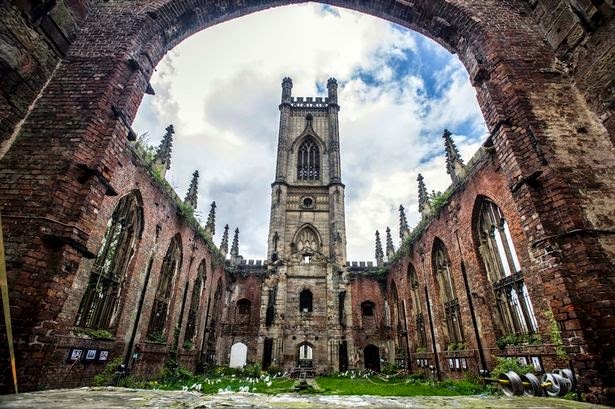 Sir Paul issued a letter of support: “St Luke’s Church - better known as ‘The Bombed-Out Church’ to the people of Liverpool - is a place that encourages people to express themselves. “The people of Liverpool should do everything possible to keep this venue open for the use of the people and run by the people. 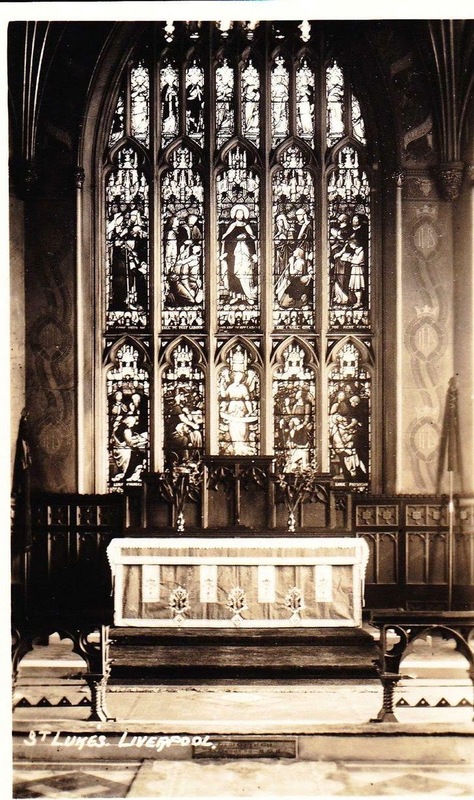 The St. Luke's church interior in 1931. Following the success of the Bombed Out Church’s online Crowdfunder campaign, more than £20,000 was raised towards keeping open the much-loved venue near the top of Bold Street. There are rumors that Sir Paul personally contributed a boatload of money himself, perhaps as much as £2,000,000. That may be underestimating his involvement or a complete fabrication, but either way, his involvement helped keep a key World World War II memorial alive. And Sir Paul has a long history of helping out with public spaces in Liverpool. Lost Wings Commercial for "Venus and Mars"
Alice Cooper cover of "Eleanor Rigby"